In Restaurant Marketing, Video is a Powerful Way to Communicate Quality and Ambience. In restaurant marketing, video can be a powerful tool. It can take a wide range of forms, from mouthwatering food photography, to videos featuring chef interviews and other web content. All of these tactics can begin building excitement about a new restaurant concept long before the doors even open. And it can easily tie in with other content marketing tactics. Here’s an example. Edgar’s Grille in Augusta, GA, is a restaurant owned and operated by Goodwill Industries. 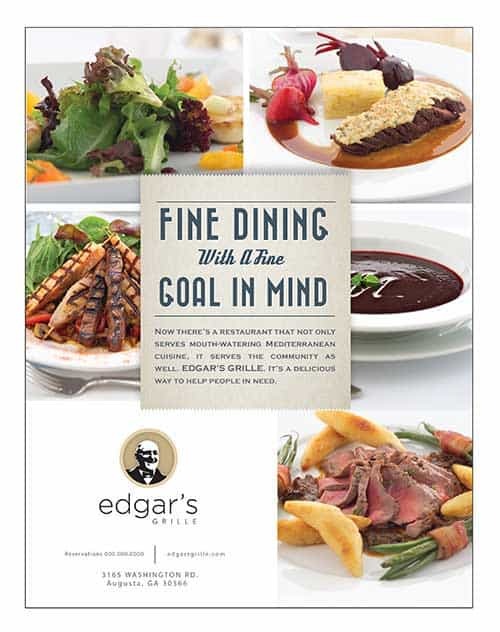 While the diners at Edgar’s Grille may not be aware of the restaurant’s owner, or even care—they just want good food—the facts do provide an interesting back story for the restaurant, and present several marketing angles unique in the restaurant industry. To promote the new restaurant, Goodwill developed a unique marketing campaign promoting the food as well as the altruism concept. 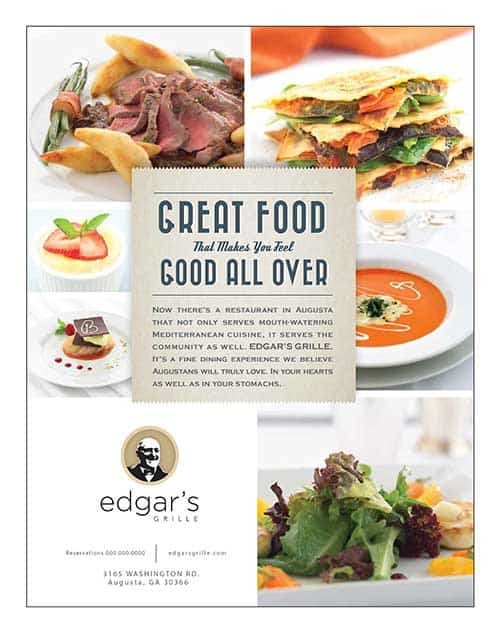 Today, Edgar’s Grille is an extremely popular dining destination in Augusta.